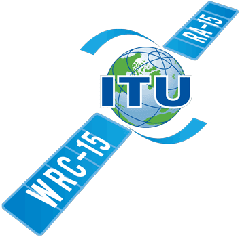 The 700 MHz frequency band has already been earmarked for mobile broadband by the 2012 ITU World Radio communication Conference (WRC-12) and this has also been confirmed by the EU European Council and in the European Parliament. However, the Media Authority in Sweden has recommended that the complete UHF band (470-790 MHz) should be utilized for terrestrial television broadcasts (DTT) until 2020. This has met loud resistance. Since the first launch of the DAB system 1995 there has been an intense lobbying effort by large scale broadcasting operators mostly public service companies, transmission companies and electronic manufacturers. For some public service companies being involved with the lobby organization WorldDMB this is a growing credibility burden. In this article the reader will learn about activities, which may surprise many. In South Korea, one out of every two mobile subscribers now has a 4G/LTE device, according to new data from GSMA Intelligence. But what’s even more interesting is the difference in how 3G and 4G subscribers used their connections in that country. Since SK Telecom launched its first LTE network back in the second half of 2011, data usage on 4G phones has more than doubled, while data consumption on 3G devices has remained flat. The only jazz channel on DAB in the U.K. has left the national network Digital One. The station has moved to Switch Digital in Greater London in addition to online platforms. Jazz FM CEO Richard Wheatly said the station could potentially lose 150,000 from its record 700,000 listener base. Most of our audience listen to us on digital radio in Greater London – 400,000 people – and around 30% are listening on platforms other than DAB across the UK. Siano Mobile Silicon, the Israeli supplier of mobile broadcast DTV solutions, has announced the launch of a new receiver chip designed exclusively for automotive and mobile consumer electronics applications. Similar to previous Siano chip solutions, the SMS4470 combines an RF tuner with a channel decoding processor, uniquely optimised for automotive and mobile devices. In addition to supporting DVB-T2 technology, the chip supports DVB-T and ISDB-T. Further, the SMS4470 supports a range of digital radio formats, including DAB+, DRM+, and the legacy FM radio.